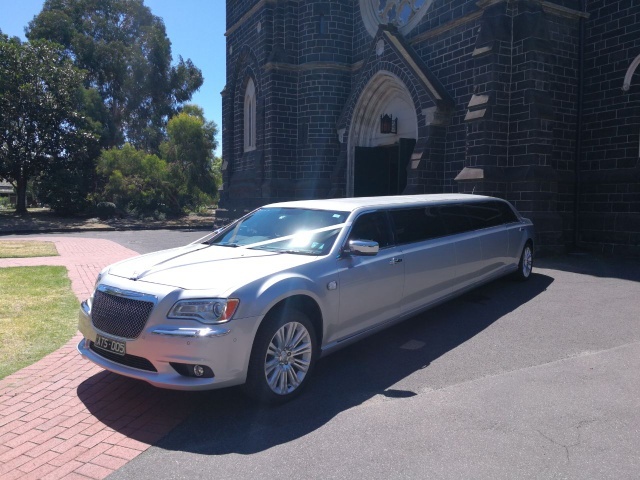 The styling and elegance of this couple’s wedding hit all the right notes, right down to the Silver Limousine Hire – South Melbourne Wedding transport. When the bride, Monique, was planning her wedding day she wanted the entire day to feel special. 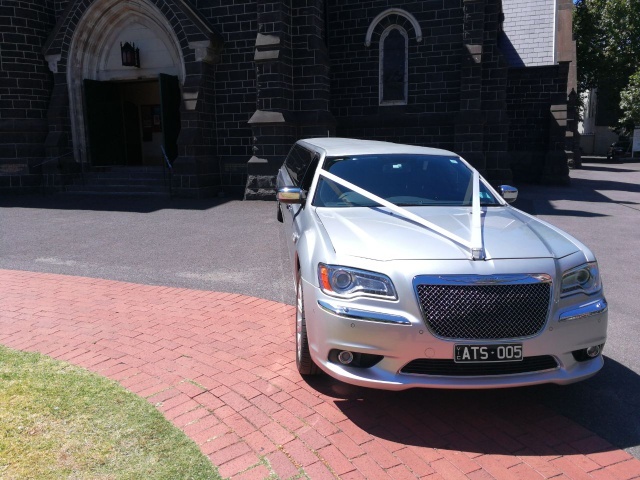 With chauffeur driven Silver Limousine Hire – South Melbourne Wedding experiences become next level elegant. Monique certainly knew how to make an entrance. Maybe it was the dress, or the flowers. It could have been the excitement of the guests or the look on the groom’s face. Perhaps it was just how happy the bride looked. Whatever the reason, Monique’s arrival at the ceremony in Silver Limousine Hire – South Melbourne Wedding was stunning and sophisticated. Following a beautiful ceremony at St Peter and Paul Catholic church, the bridal party travelled together by limousine to Albert Park and Lakes for their photographs. Located 3 kilometers from the city, this choice of location provided gorgeous park and water backgrounds. Since the wedding was held in February, the weather was warm and the light perfect for beautiful pictures. The bridal party was then chauffeur driven to their next destination. To continue the theme of luxurious elegance, the wedding reception was held at White Night Receptions in Maidstone. Built and decorated in the style of a European palace, this premium function venue offered the couple a bespoke evening of celebrating with their friends and family. Gorgeous decorations and great music made the evening spectacular for everyone. At the end of festivities, the couple’s chauffeur was waiting to ensure their exit was just as special as their entrance. From start to finish, this wedding was filled with love, laughter and excitement. 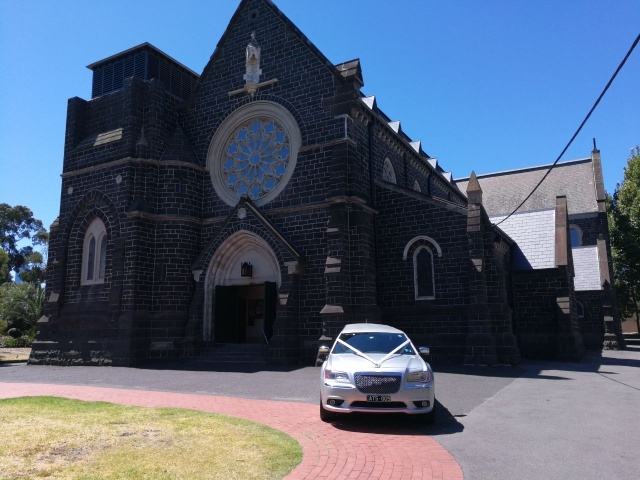 One of the most beautiful weddings we have seen this year, Silver Limousine Hire – South Melbourne Wedding transport helped make this day incredible and one to be remembered. 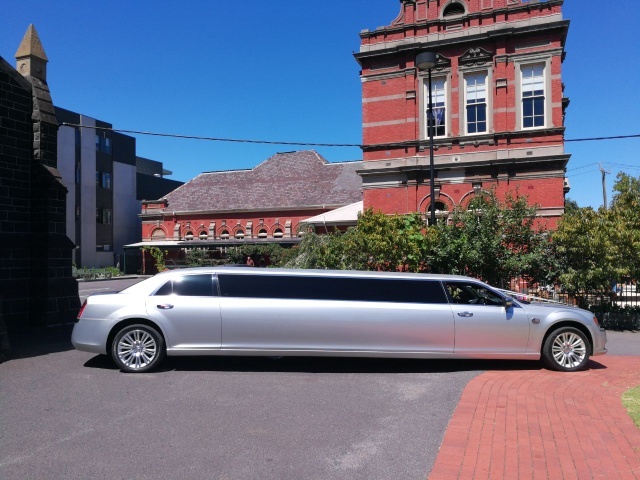 To enquire more about Silver Limousine Hire from A Touch of Silver Limousine Hire or for any other Limousine Hire enquiries, please give us a call on 03 9333 4198 or get in touch through our Contact Us form.